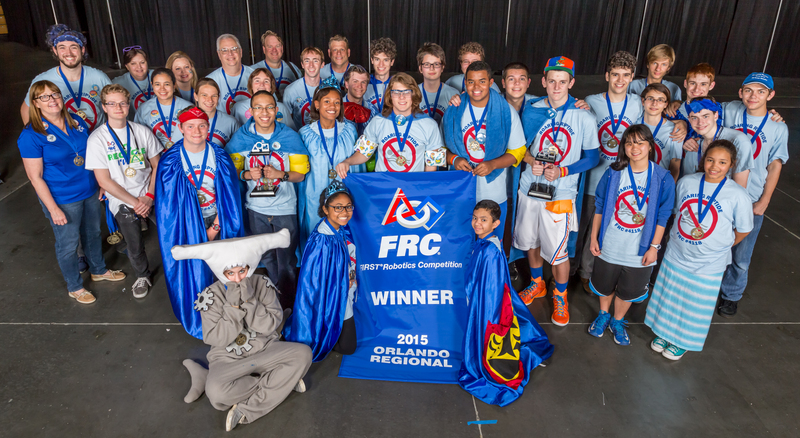 PropaGator » 2015 FRC Orlando, Go Roaring Riptides! 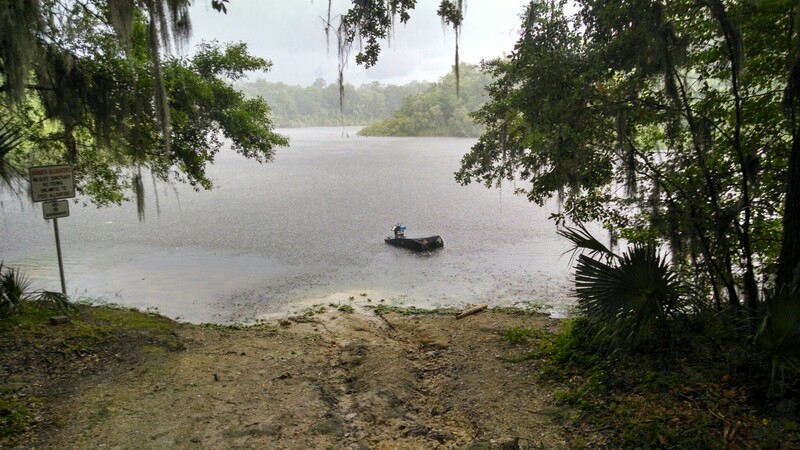 We took the boat with us to the 2015 Orlando First Robotics Competition. 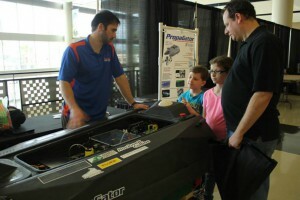 Matt and I drove the boat and sub down south to show off some of our lab’s projects to the public. Of all the public outreach events we’ve ever done, FRC Orlando got us the most visibility. Matt and I must have talked to hundreds people (both of our voices were hoarse at the end of the day). 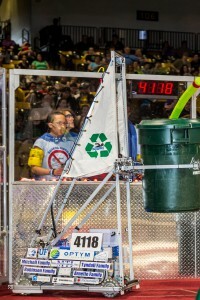 Dan and Dr. Crane sponsor P. K. Younge team 4118 the Roaring Riptides. So of course we were biased in who we wanted to win. Turns out, team 4118 (along with 2 other teams) were the champions!!! “Andy Gray and I brought Subjugator and Propagator to the Orlando First Robotics Competition (FRC) regional event. There were approximately sixty teams present from around the world, mostly from Florida. This is a competition I participated in for six years while I was in high school and community college. We were given an optimal spot on the concourse just outside of where the field of play was. I have participated in many outreach events with Subjugator and Propagator and at none of them did the amount of people we spoke with that were legitimately interested in the project compare to the impact we had at the competition. 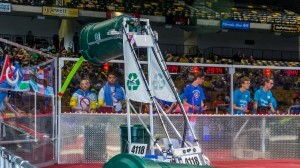 This is a competition where high school students gather with robots that weigh over 120 pounds and compete in teams to win a game. 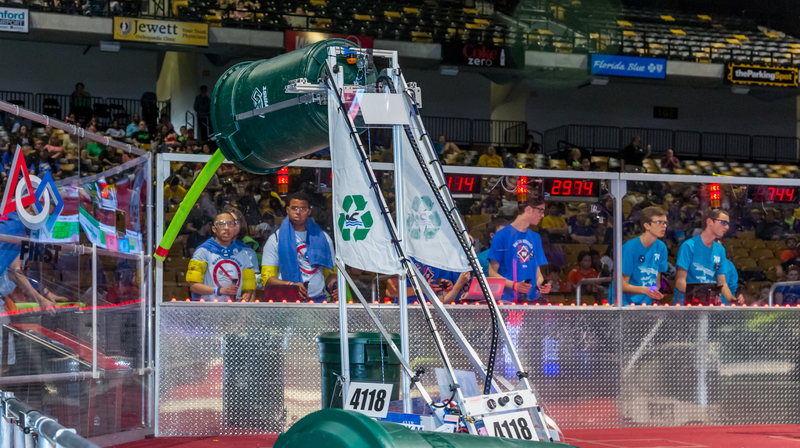 The teams that attend these competitions are incredibly enthusiastic about robots, they dye their hair, wear costumes, and scream at the top of their lungs. These are the types of students we want in UF engineering. By bringing Subjugator and Propagator we were able to show them what their opportunities would be in college to continue building robots. Andy and I spoke with high school students, parents, mentors, and children about Subjugator, Propagator, UF, and UF engineering nonstop all day long. When I was in elementary school I was on a Lego robot team. At one of the competitions, a high school FRC team brought their robot and showed it off. This had a large impact on me and was part of what guided me to study engineering here at UF. 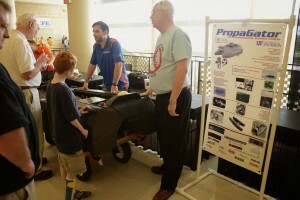 It made a large impact because it showed me the next level of complexity and challenge, just as by bringing Subjugator and Propagator to the FRC regional we showed the high school students what they could do when they go to UF. When I was in high school, I was on an FRC team and it would have been very cool to see robots like Subjugator and Propagator because I didn’t know how I continue my passion into college.